The organizers of the 2016 Volta ao Algarve (February 17-21) have unveiled the name of the first 13 teams confirmed for the race. The Portuguese race has already ensured the presence of eight WorldTour Teams: Astana, Cannondale, Katusha, Lotto NL-Jumbo, Lotto Soudal, Movistar, Tinkoff and Trek. The Volta ao Algarve has also ensured the presence of Bora-Argon 18, Novo Nordisk, Roth-Skoda, Rusvelo and Verva AcctiveJet. The organizers will invite all the Portuguese continental teams – six or seven – and has five more places that will be filled by international teams. - the fifth stage will finish at the top of Malhão (climb of 2.5 km with an average gradient of 9.4 per cent). 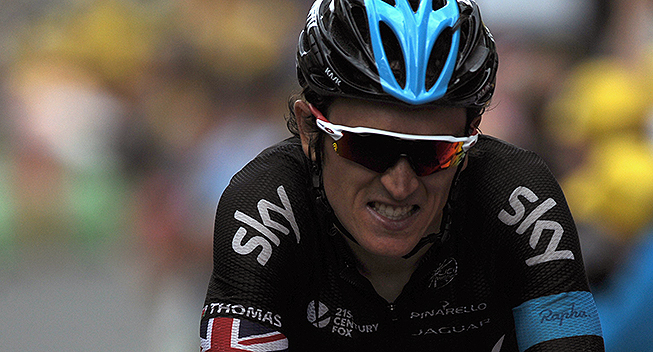 Geraint Thomas won the 2015 edition of the race.